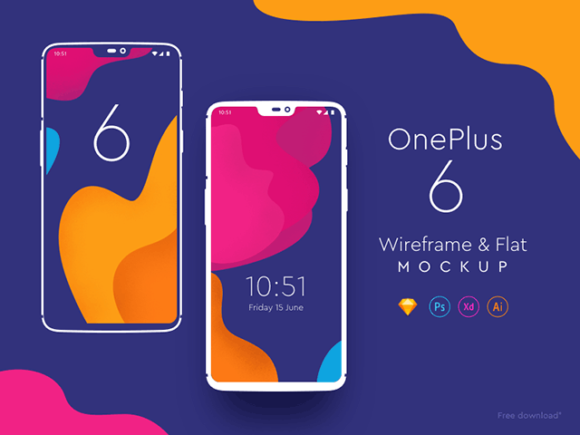 A couple of flat mockups inspired by the popular One Plus 6. Freebie is available in multiple file formats (Sketch, PSD, Ai and Xd). Released by Daniel Korpai. Posted on June 18, 2018 June 18, 2018 in Free PSD, Illustrator freebies, Mockups, Sketch freebies and tagged mockups, AI, smartphones, sketch.